Feeding them the right levels of omega-3 fatty acids means a balanced immune system and more energy for milk & reproduction. 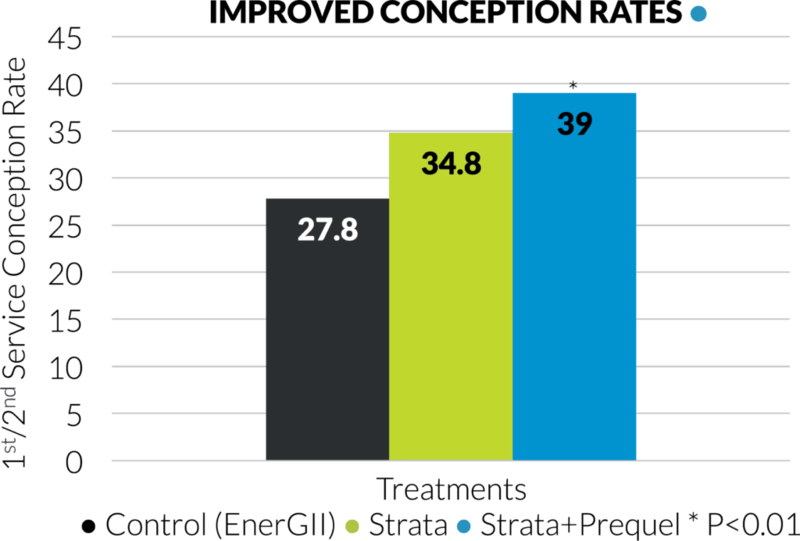 Healthier cows are more profitable cows with Strata omega-3s. 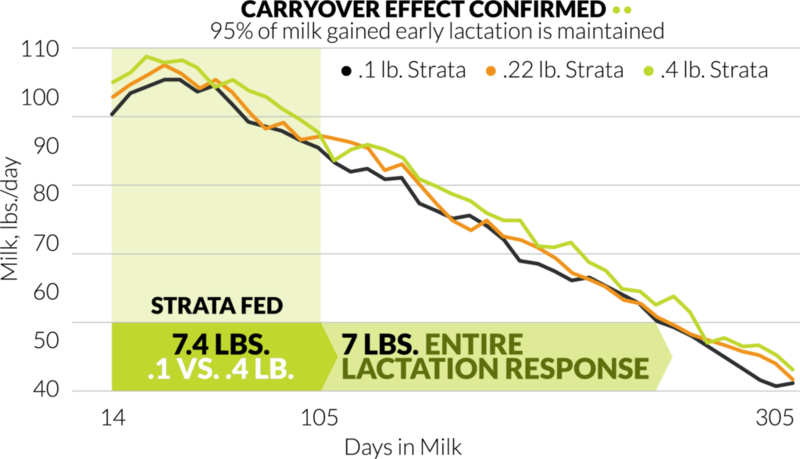 Target early lactation cows out to 100 DIM to take advantage of the carryover milk economics, as well as balance for milk and milk fat. Start in the fresh pen only, when grouping is not aligned with the 1-100 DIM feeding recommendation. 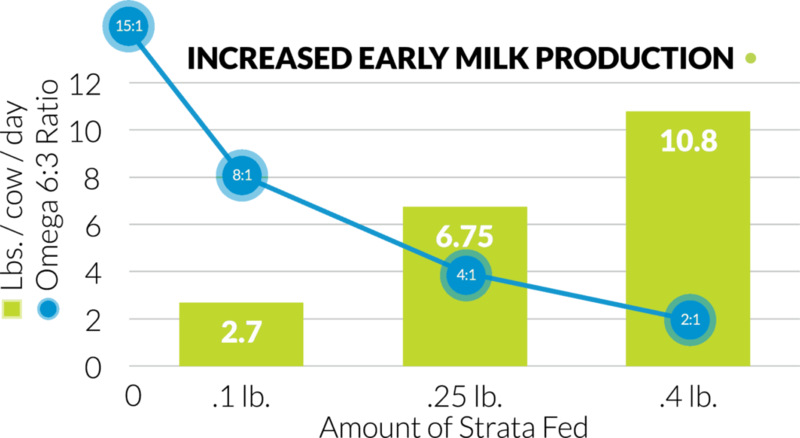 If you have just one group or longer DIM breeding pens, drop the rate to .1 lb. to start. • Adapted from Bilby, et. al., University of FL, 2006; Moussavi, et. al., Cornell University, 2007; Santos, Greco, et. al., University of FL, 2013. •• Adapted from M. Garcia, L.F. Greco, W.W. Thatcher, J.E.P Santos, and C.R. Staples, et. al., University of FL, 2014. 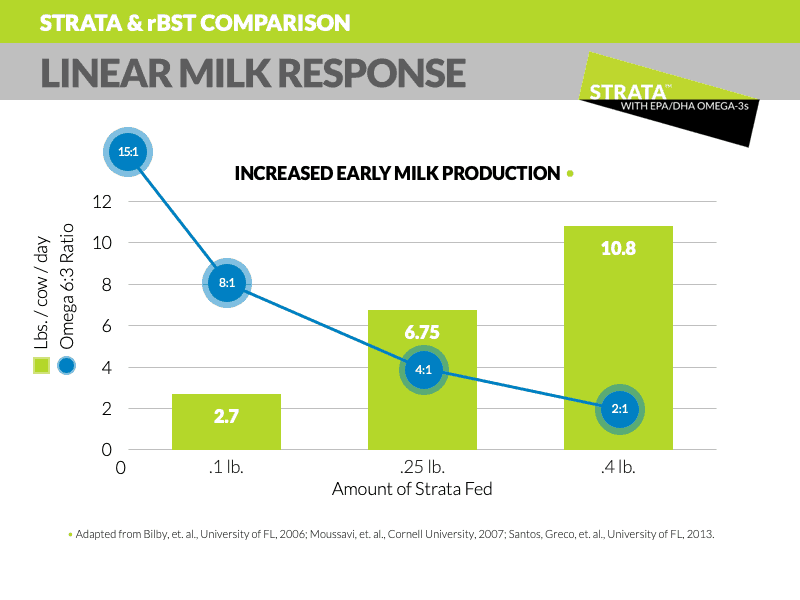 Strata with EPA/DHA omega-3’s is the best way to significantly improve your omega balance for up to 10.8 pounds more milk, plus reproductive gains. 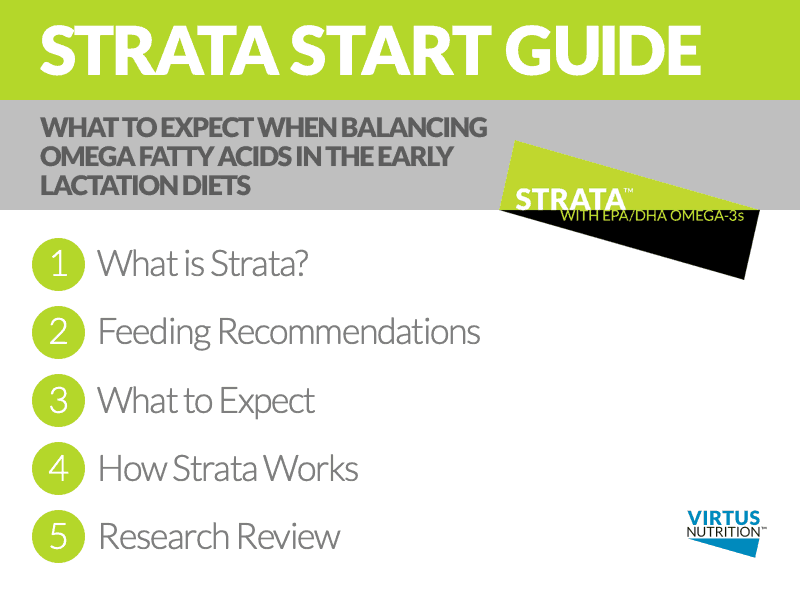 Check out this simple start guide to see how to get a started toward a whole new healthy with Strata. 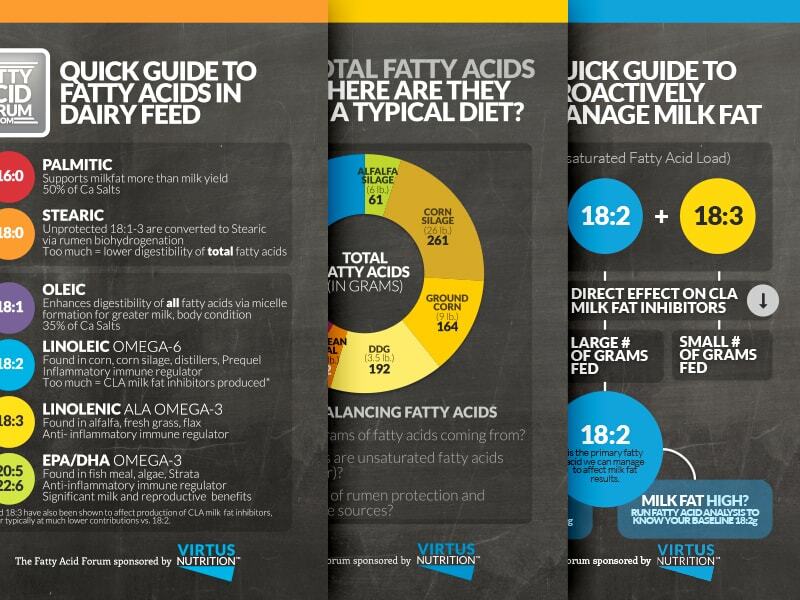 Enter in your dairy’s info to see how much balancing fatty acids could be worth to you! 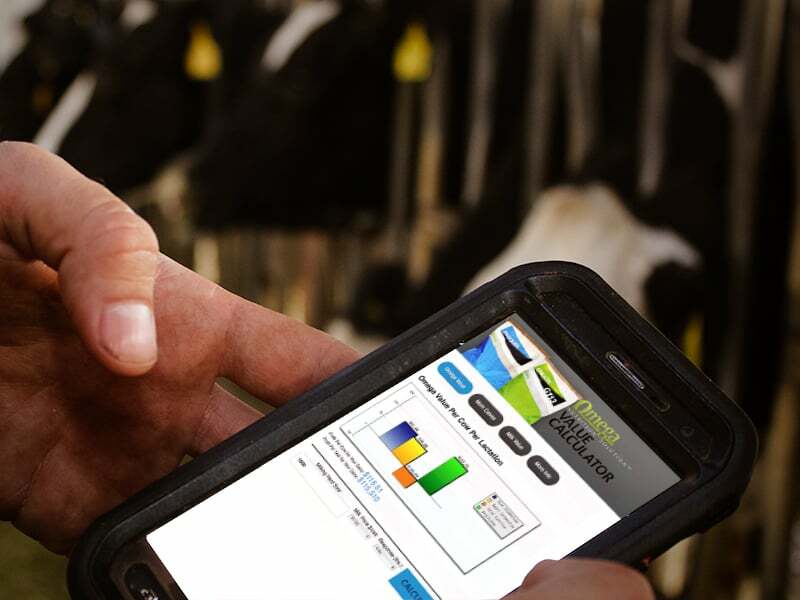 You might not believe how much more you could be making by feeding Prequel and Strata to your herd! 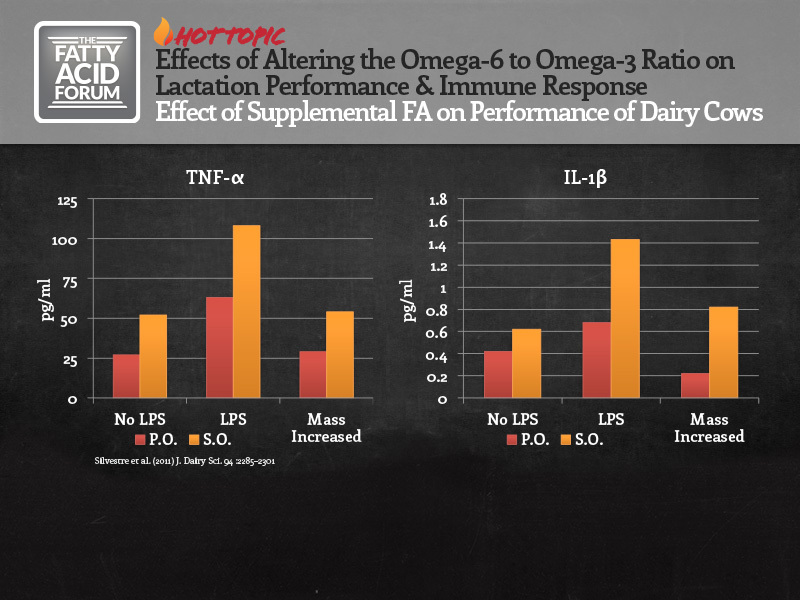 Dr. Jose Santos from the University of Florida evaluates the impact of altering the ratio of omega-6 to omega-3 FA on diets fed to early lactation cows in the areas of lactation and immune response. 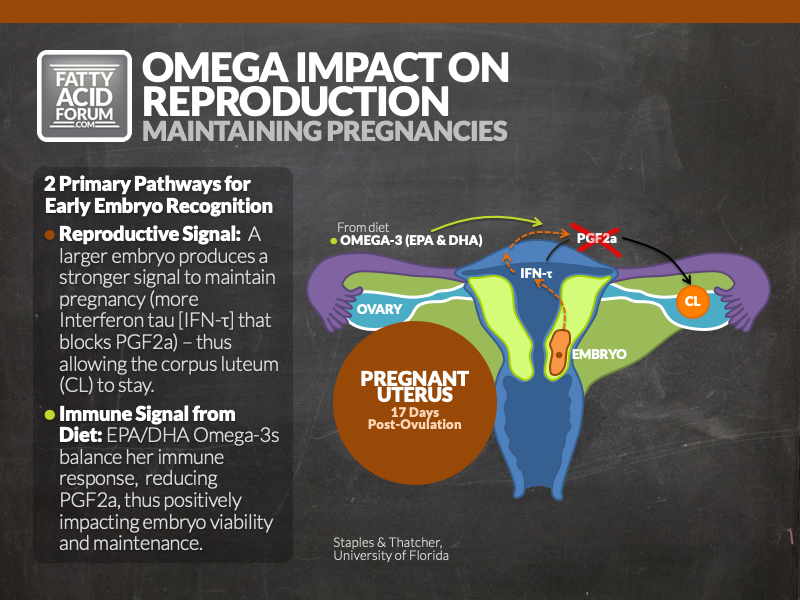 Download this handy guide to the impact of omega-6 and omega-3 fatty acids on reproduction and immune responses that affect embryo viability and maintenance.